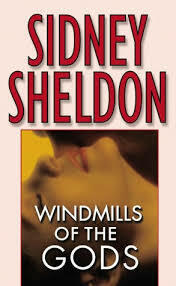 Another gripping work by Sheldon of course. For me the character of Angel the international assassin remains intriguing, if not quite convincing in the end. It is some sort of masterstroke that the author ensures throughout this work that the reader would imagine that both Angel and Neusa are the same. One eg assumes that Angel would be a man, not a woman. The author writes - a fine sleight of hand really - "First Angel had some shopping to do. There was a good lingerie shop on Pueyrredon, expensive, but Neusa deserved the best". How would the reader suss out here that Angel was actually referring to himself...er, herself! Yet from a critical point of view, the concept does not ring true. Neusa is presented as a very unattractive, illiterate dithering, quite foolish individual; yet in reality she is sophisticated, canny, quite a genius. So maybe we should assume again that she is the greatest actress the world has ever seen with what she pulls off!